Free pads and tampons can now be found in Moffitt Library, after the Coalition for the Institutionalization of Free Menstrual Products, or CIFMP, worked with the library to secure menstrual products in its fourth- and fifth-floor bathrooms. UC Berkeley undergraduates Luofei Chen, Noah Adriany and Aayush Tyagi launched the startup Oki Karaoke in September 2018. 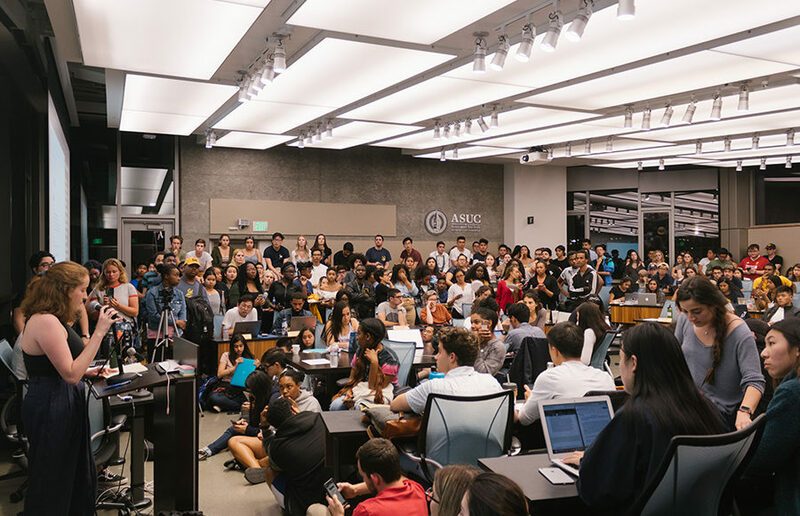 With all 14 of Student Action’s newly elected candidates disqualified after a unanimous ASUC Judicial Council ruling Tuesday, many students are wondering what will come next. A UC Berkeley employee was transported to a hospital Wednesday following a dry ice explosion in a campus building, according to an email from UCPD Sgt. Nicolas Hernandez. For the first time since 2013, a UC Berkeley student has won the exclusive Truman Scholarship, a grant intended for public service leaders. ASUC External Affairs Vice President, or EAVP, Nuha Khalfay won the Kenneth Priestley Award at UC Berkeley’s Inaugural Dean of Students Outstanding Leadership Awards on Tuesday. The decrease of tule fog in the Central Valley is linked to a decrease in air pollution, according to a study published by UC Berkeley researchers March 28.